On December 5, 2018, Xiaomi President Lin Binh put a photograph on the social network Weibo from his official account, one can consider the inscription on one of the upcoming brands of the brand, according to which the rear camera has a total resolution of 48 Mp. You can currently see this in mobile devices with a triple main camera. All this means that the upcoming novelty will boast of such a feature that fans will be guaranteed to be very satisfied. 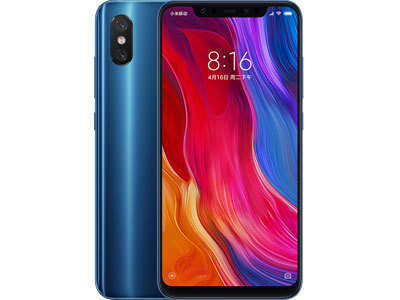 Since the Xiaomi Mi 9 presentation is scheduled only at the end of the first quarter, as well as the Xiaomi Mi Mix 3S, it becomes quite clear that a similar feature will get a completely different mobile device. According to Chinese media, the Xiaomi Mi 8S flagship will become the first phone brand of the triple-faceted camera, and it will be an improved, in all respects, version of the Mi 8 Pro model, which is currently actively sold around the world. The novelty will boast a glass case, a built-in fingerprint scanner, a triple main camera, and support for Qi wireless charging technology up to 12 W inclusive. Right under the camera phone and double flash will be the inscription “48MP Camera”. Buy Xiaomi Mi 8S buyers can be in several colors, one of which is guaranteed to become black. It is not yet clear which processor will be the basis for the Xiaomi Mi 8S smartphone. That may be the Qualcomm Snapdragon 845, or the new Snapdragon 855.